The Range Rover Sport SVR performance SUV has set an exciting unofficial record! 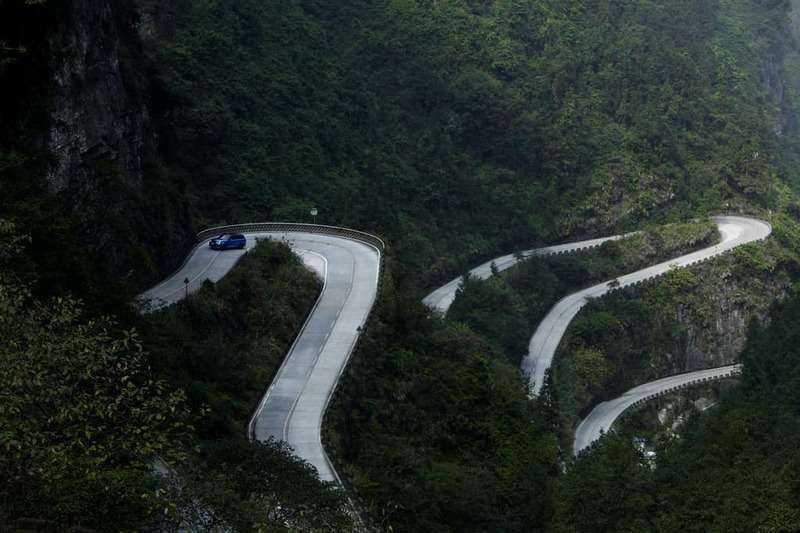 It took on the challenge of the feared Tianmen Rd in the mountains of China. This road features 99 sharp turns! The SVR set an unofficial record time of 9 minutes and 51 seconds. That beat the previous record time of 10 minutes and 31 seconds set by a Ferrari 458 Italia supercar in 2016. How exciting is that — an SUV that beat a supercar on a curve-filled mountain road! The powerful Range Rover Sport SVR has a V8 supercharged engine that can efficiently power this SUV from 0 – 60 mph in only 4.3 seconds. The lightweight material used in this vehicle add to the vehicle performance and agility. It offers dynamic handling without sacrificing comfort and luxury. Contact Land Rover Colorado Springs today for more information on the 2018 Range Rover Sport. We also have several powerful and luxurious 2017 Range Rover Sport models available at a discount.